1. 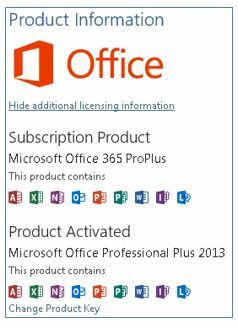 How do I install Office 365 from the Office portal? 2. What if I have Office 2010 for Windows installed and I install Office on my desktop from the portal? 3. What if I have Office 2013 for Windows installed and I install Office 365 on my desktop from the portal? 4. What if I have Office 2011 installed on my Mac computer? 5. What if I use all my licenses? 6. What happens if I'm not connected to the internet for a long time? Follow the on-screen prompts for installation. The installation process will continue after this. The installer will leave Office 2010 alone and install Office 2013 (currently) as a separate product. 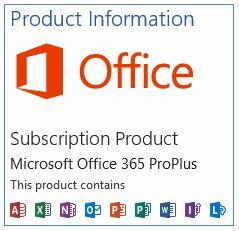 It will show the newer Office to be a 365 Pro Plus subscription product, just as above. You can choose to use either of the Office application versions, i.e., open Word 2010 or Word from Office 365 Pro Plus. If you open a document by double-clicking the document icon, it will open in the most recent version of Office. 2a. Should I uninstall Office 2010 before installing? ITS recommends running only the most recent version of Office, however, uninstalling is not required. 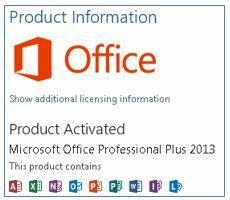 You can uninstall Office 2010- either before or after installing the desktop version of Office 365 Pro Plus. 2b. What happens to my Office settings if I have two versions of Office installed? 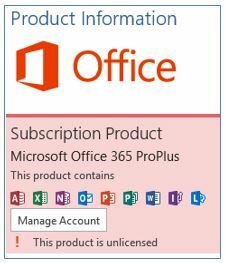 Since this is a new installation of Office, your settings will remain with Office 2010 and you will have a new configuration of settings for Office 365 Pro Plus. Since Office 2011 for Mac doesn't require a license key, the installation does not change at all. However, there is a newer version of Outlook that can be installed using your Office 365 account. 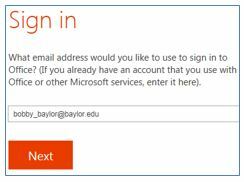 Click on the install link on the Office 365 website and follow the instructions shown. OneNote is not part of Office 2011, but can also be installed from the Office 365 website.